The most popular Hindu pilgrimage and an ancient city Haridwar is a very interesting place to visit. Surrounded by the Himalayas and nurtured by the holy river Ganges, the city is a true bliss of nature. The picturesque beauty of Haridwar is beyond description by words and clearly depicts the presence of divine power. Whether be it the flickering lamps during Ganga Aarti, sprawling markets, the snow-covered mountains or river-rafting, the city has a comprehensive range of activities ongoing. Apart from these, there is something else one must never miss whilst in the city. The Crystal World is the best place to have a ravishing time in Haridwar. Let’s explore what this water park in Haridwar has for its visitors. 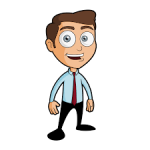 Welcome yourself to the world of ultimate fun, a rollicking place that you would have ever seen in your entire life. The Crystal world water park in Haridwar sprawls over a huge area with a jungle-based theme. 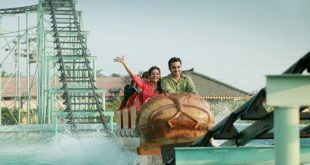 The entire water amusement park in Haridwar is divided into adults section, family ride section, and kids’ zone in its water activity zone and also in the amusement park zone. There are more than two dozens of fun rides and most of the rides are absolutely unique to the place. 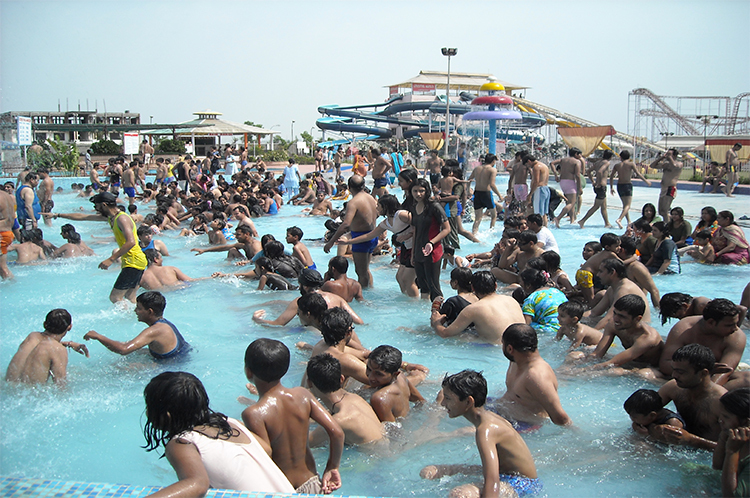 Let your fun day begin at the largest family pool in North India. The tiger slide lets you jump right out of the tiger’s mouth with the gushing waters and so does the gorilla slide. The elephant slide has a huge swimming pool to bump you into the deep waters. Shout out loud at the dragon slide as you slide down the steep ride and drop into the pool with a huge splash! The best part of the adult section of the water park in Haridwar Road is the pirate pool. The amazing network of water slides that you find here is totally exhilarating. Next is your turn to turn up with your entire crew to the family rides zone. The multi-tower slide is a perfect point to find out the fastest one in your family in the rush for the pool. There are numerous tunnel rides full of grooves and twists to bring the thrill in you. Don’t miss the body slide! Are you tired yet? Then this water park of Haridwar has a solution for that too. The wave pool is the righteous point to relax in and out totally. Get the feel of the sea within the mountains at the wave pool. Bring it on to the rain dance at the aqua dance floor as the DJ plays the most trending and exciting songs. 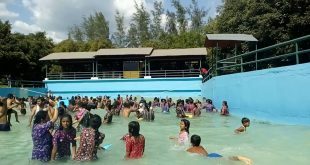 For the kids, the water park proffers a big swimming pool with shallow waters. 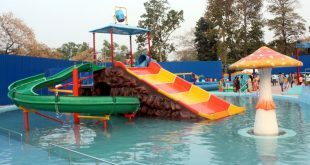 There is a separate wave pool at the premises of Crystal Water Park in Haridwar for the young ones too. Float or get carried away by the wave, let the kids make the choice while you are busy enjoying. The kids’ zone brings out the best in them. Watch your toddler laughing aloud from the core of the heart, a sound that you had been waiting to hear since long. 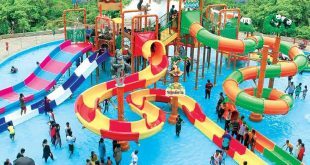 This water park at Haridwar is utterly surprising. Are you ready to get some real adrenaline rush? 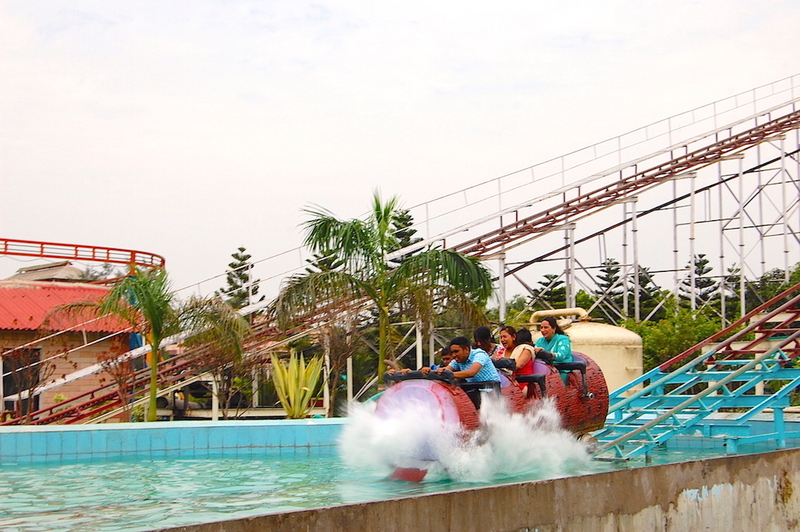 Then you must definitely visit the amusement zone of the water park near Patanjali, Haridwar. The aqua drive ride will let your heart skip a beat. Hold your breath to be thrown into the air and then splash water all around as you ride right into the center of the pool with an exaggerated speed. 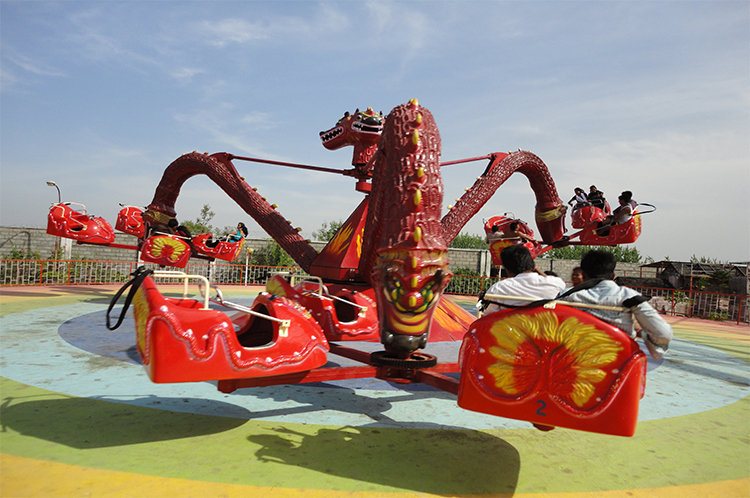 Get intoxicated at the dragon ride roller coaster. Touch the heights of the sky and take a head reeling ride at the swing chair. Take the high-speed ride at the swing it. Hold tight to the seats for the ride is really bumpy. The bullfight ride is totally electrifying. So, do try even that. Won’t you love if the hidden child in you could be unleashed? Why wait for it anymore when you can do what your heart wishes for at the gaming zone of the water amusement park in Haridwar. And to snuff out your hunger and refill your energy levels the park extends a food court too. Can any water park in Haridwar be better than this? The answer is no. Can you believe something like this in a pilgrimage like Haridwar? One must drop into the best water park in Haridwar at least once in his lifetime to feel the essence of the place in reality. 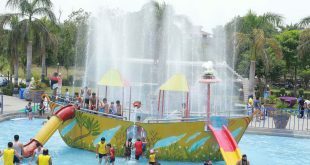 You must not miss this wonderful opportunity to visit the water park whilst in the city. 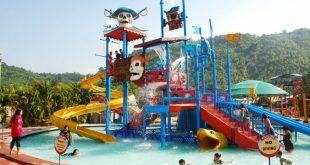 And if you are looking for a water park near Haridwar and not exactly in the city, then you can also pay a visit to the Fun Valley water park in Haridwar at the Golden Triangle of Uttarakhand.